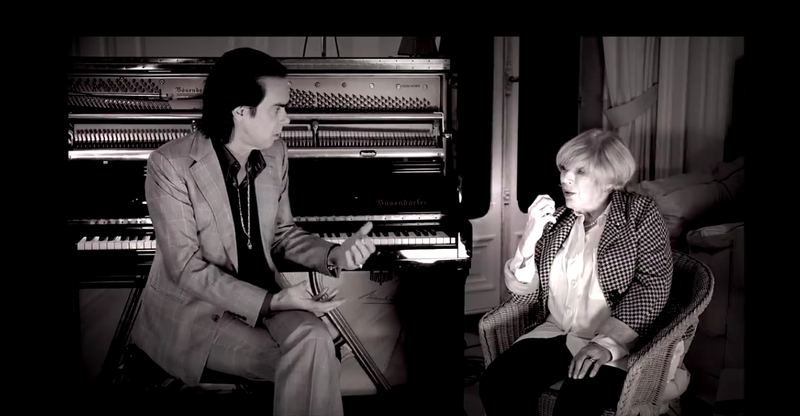 Nick Cave and Marianne Faithfull have shared a new clip of the pair in conversation. Marianne Faithfull's superb new album 'Negative Capability' is out now, a riveting, highly emotional experience. Nick Cave appears on album highlight ‘The Gypsy Faeire Queen’, a brooding affair, packed with cinematic mystery. The two sit down for a full conversation in this new clip, one which touches on various aspects of their mutual careers, and approach to songwriting. It's a fascinating watch - Nick Cave's earnest respect for Marianne Faithfull matched to the pair's raconteur sensibilities. 'Negative Capability' is out now.